If you like the Stan Smith and you also like to get a little freaky in the footwear department these geriatric inspired kicks in collaboration with ÉDIFICE are right up your proverbial alley. 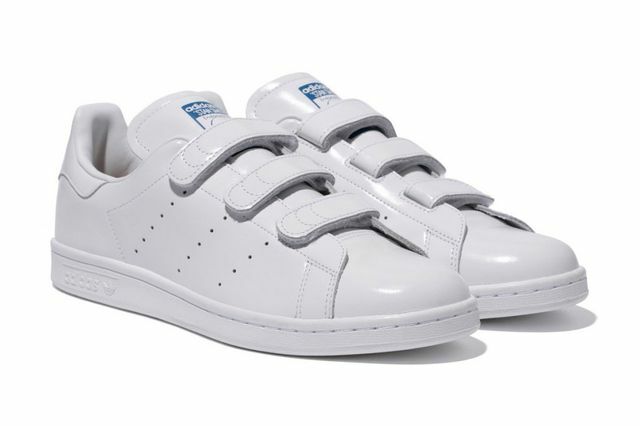 Dressed in all white leather uppers, these simple kicks take the iconic Stan Smith that adidas Originals has been amping up and, like a few others before it, ditching the laces in favor of Velcro straps. Except for the blue branding, these kicks remain a monochromatic white affair, from lining to sole. While we don’t have any exact release info as of now you can, as always, stay tuned to MN for the latest on these kicks’ late October release.